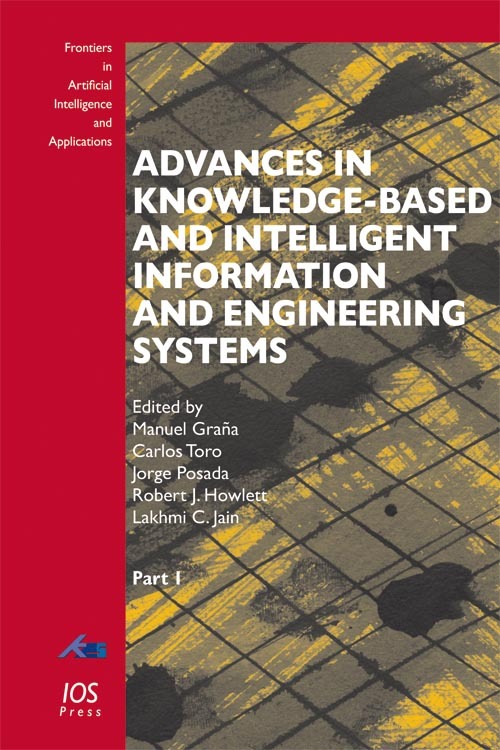 In this 2012 edition of Advances in Knowledge-Based and Intelligent Information and Engineering Systems the latest innovations and advances in Intelligent Systems and related areas are presented by leading experts from all over the world. The 228 papers that are included cover a wide range of topics. One emphasis is on Information Processing, which has become a pervasive phenomenon in our civilization. While the majority of Information Processing is becoming intelligent in a very broad sense, major research in Semantics, Artificial Intelligence and Knowledge Engineering supports the domain specific applications that are becoming more and more present in our everyday living. Ontologies play a major role in the development of Knowledge Engineering in various domains, from Semantic Web down to the design of specific Decision Support Systems. Research on Ontologies and their applications is a highly active front of current Computational Intelligence science that is addressed here. Other subjects in this volume are modern Machine Learning, Lattice Computing and Mathematical Morphology. The wide scope and high quality of these contributions clearly show that knowledge engineering is a continuous living and evolving set of technologies aimed at improving the design and understanding of systems and their relations with humans. Edited by: Graña, M., Toro, C., Posada, J., Howlett, R.J., Jain, L.C. Geographic information reflects ontological world views, just like any linguistic utterance. However, in comparison with spoken language, all kinds of digital information is affected by the problem of reference to an even larger extent, because of the loss of the context of speech. How can the phenomena underlying digital information be referred to in an inter-subjective way? The problem is not that machines cannot communicate, but that humans frequently misunderstand each other when communicating via machines. 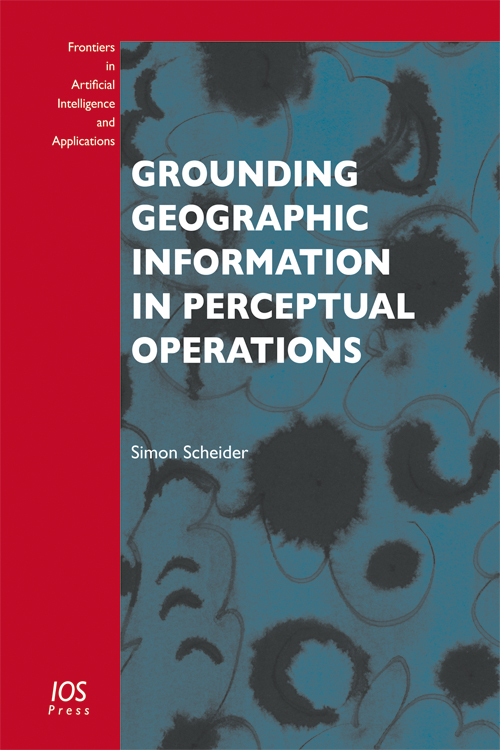 This book puts forward a proposal about how semantic reference can be reproduced based on the operations necessary to generate a dataset. These include cognitive constructions as well as perceptual operations, i.e., operations of the human attentional apparatus. Perceptual operations allow one to share information by focusing human attention on ‘Gestalts’ in the perceived space around the body. Gestalt mechanisms allow observers to make predications, i.e., to relate foci of attention. The author proposes a kind of ‘practical constructivism’ guided by a formal language. The idea is to describe data ‘bottom-up’ in order to reconstruct the observation and abstraction process, instead of presuming abstract ontological concepts. This approach is demonstrated by reconstructing the concept of a road network, which underlies an important kind of geographic data. Artificial intelligence (AI) plays a vital part in the continued development of computer science and informatics. The AI applications employed in fields such as medicine, economics, linguistics, philosophy, psychology and logical analysis, not forgetting industry, are now indispensable for the effective functioning of a multitude of systems. 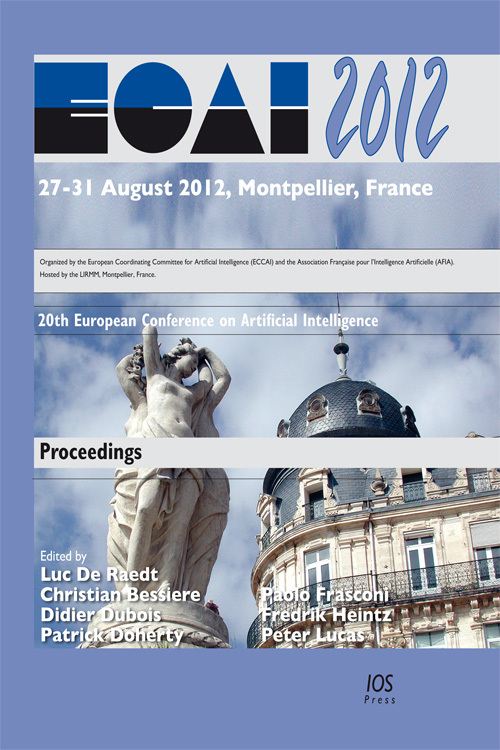 This book presents the papers from the 20th biennial European Conference on Artificial Intelligence, ECAI 2012, held in Montpellier, France, in August 2012. The ECAI conference remains Europe's principal opportunity for researchers and practitioners of Artificial Intelligence to gather and to discuss the latest trends and challenges in all subfields of AI, as well as to demonstrate innovative applications and uses of advanced AI technology. ECAI 2012 featured four keynote speakers, an extensive workshop program, seven invited tutorials and the new Frontiers of Artificial Intelligence track, in which six invited speakers delivered perspective talks on particularly interesting new research results, directions and trends in Artificial Intelligence or in one of its related fields. The proceedings of PAIS 2012 and the System Demonstrations Track are also included in this volume, which will be of interest to all those wishing to keep abreast of the latest developments in the field of AI. Go to the online version (OA) of this book. Edited by: De Raedt, L., Bessiere, C., Dubois, D., Doherty, P., Frasconi, P., Heintz, F., Lucas, P.
The field of Artificial Intelligence is one in which novel ideas and new and original perspectives are of more than usual importance. The Starting AI Researchers’ Symposium (STAIRS) is an international meeting which supports AI researchers from all countries at the beginning of their career, PhD students and those who have held a PhD for less than one year. It offers doctoral students and young post-doctoral AI fellows a unique and valuable opportunity to gain experience in presenting their work in a supportive scientific environment, where they can obtain constructive feedback on the technical content of their work, as well as advice on how to present it, and where they can also establish contacts with the broader European AI research community. 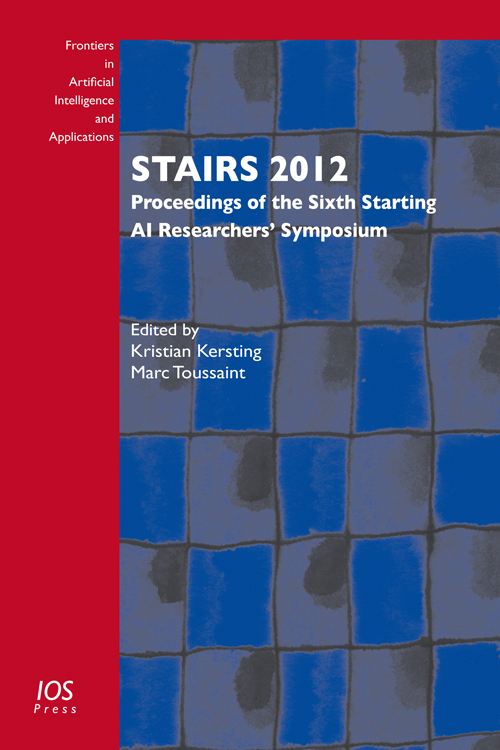 This book presents revised versions of peer-reviewed papers presented at the Sixth STAIRS, which took place in Montpellier, France, in conjunction with the 20th European Conference on Artificial Intelligence (ECAI) and the Seventh Conference on Prestigious Applications of Intelligent Systems (PAIS) in August 2012. The topics covered in the book range over a broad spectrum of subjects in the field of AI: machine learning and data mining, constraint satisfaction problems and belief propagation, logic and reasoning, dialogue and multiagent systems, and games and planning. Offering a fascinating opportunity to glimpse the current work of the AI researchers of the future, this book will be of interest to anyone whose work involves the use of artificial intelligence and intelligent systems. Edited by: Kersting, K., Toussaint, M.
As knowledge-based software engineering matures and increasingly automates the software engineering life cycle, software engineering resources are shifting towards knowledge acquisition and the automated reuse of expert knowledge for developing software artifacts. 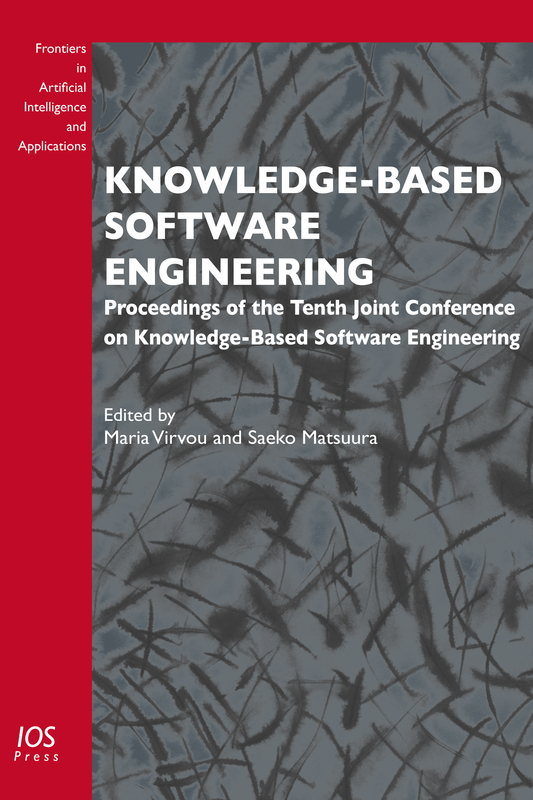 This book summarizes the work and new research results presented at the Tenth Joint Conference on Knowledge-based Software Engineering (JCKBSE 2012), held on the island of Rhodes, Greece, in August 2012. The biennial Joint Conference on Knowledge-Based Software Engineering brings together researchers and practitioners to share ideas on the foundations, techniques, tools, and applications of knowledge-based software engineering theory and practice.Topics addressed include theoretical foundations, practical techniques, software tools, applications and/or experience reports in knowledge-based software engineering. This book is published in the subseries Knowledge-Based Intelligent Engineering Systems (KBIES). 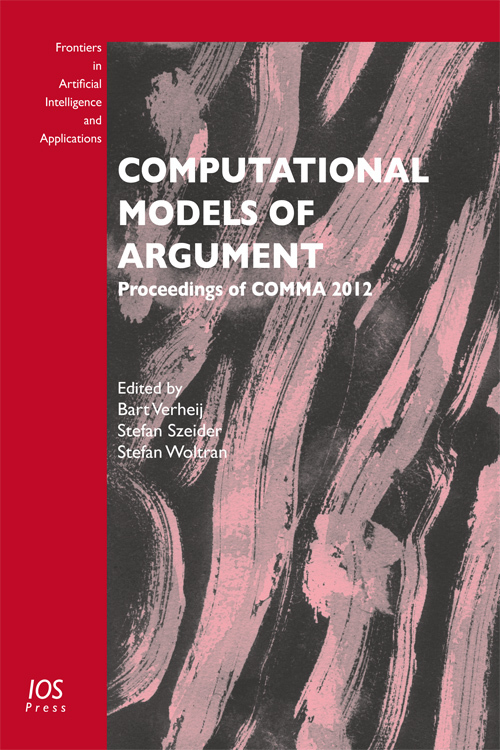 Edited by: Virvou, M., Matsuura, K.
The complex information systems which have evolved in recent decades rely on robust and coherent representations in order to function. Such representations and associated reasoning techniques constitute the modern discipline of formal ontology, which is now applied to fields such as artificial intelligence, computational linguistics, bioinformatics, GIS, conceptual modeling, knowledge engineering, information retrieval, and the semantic web. Ontologies are increasingly employed in a number of complex real-world application domains. For instance, in biology and medicine, more and more principle-based ontologies are being developed for the description of biological and biomedical phenomena. To be effective, such ontologies must work well together, and as they become more widely used, achieving coordinated development presents a significant challenge. 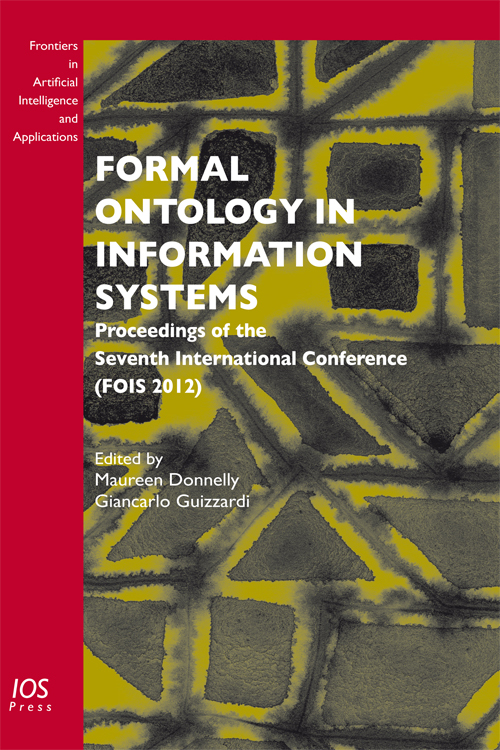 This book presents collected articles from the 7th International Conference on Formal Ontologies (FOIS), held in Graz, Austria, in July 2012. FOIS is a forum which brings together representatives of all major communities involved in the development and application of ontologies to explore both theoretical issues and concrete applications in the field. The book is organized in eight sections, each of which deals with the ontological aspects of: bioinformatics; physical entities; artifacts and human resources; ontology evaluation; language and social relations; time and events; representation and the methodological aspects of ontological engineering. Providing a current overview of developments in formal ontology, this book will be of interest to all those whose work involves the application of ontologies, and to anybody wishing to keep abreast of advances in the field. Edited by: Donnelly, M., Guizzardi, G.
The field of Information Systems has been shifting from an ‘immersion view’, which relies on the immersion of information technology (IT) as part of the business environment, to a ‘fusion view’ in which IT is fused within the business environment, forming a unified fabric that integrates work and personal life, as well as personal and public information. In the context of this fusion view, decision support systems should achieve a total alignment with the context and the personal preferences of users. The advantage of such a view is an opportunity of seamless integration between enterprise environments and decision support system components. Thus, researchers and practitioners have to address the challenges of dealing with this shift in viewpoint and its consequences for decision making and decision support systems theories and applications. 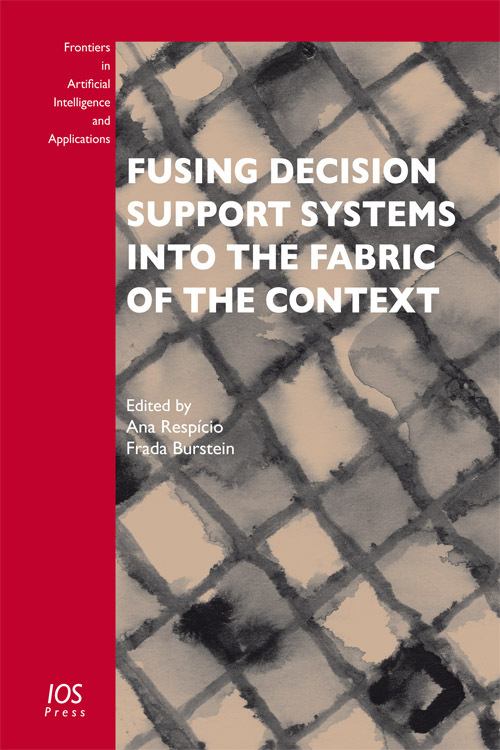 This book presents the latest innovations and advances in decision support systems with a special focus on the fusion view. These achievements will be of interest to all those involved and interested in decision making practice and research, as well as, more generally, in the fusion view of modern information systems. The book covers a wide range of topical themes including a fusion view of business intelligence and data warehousing, applications of multi-criteria decision analysis, intelligent models and technologies for decision making, knowledge management, decision support approaches and models for emergency management, and medical and other specific domains. Edited by: Respício, A. and Burstein, F.
Information modelling and knowledge bases have become hot topics, not only in academic communities concerned with information systems and computer science, but also wherever information technology is applied in the world of business. 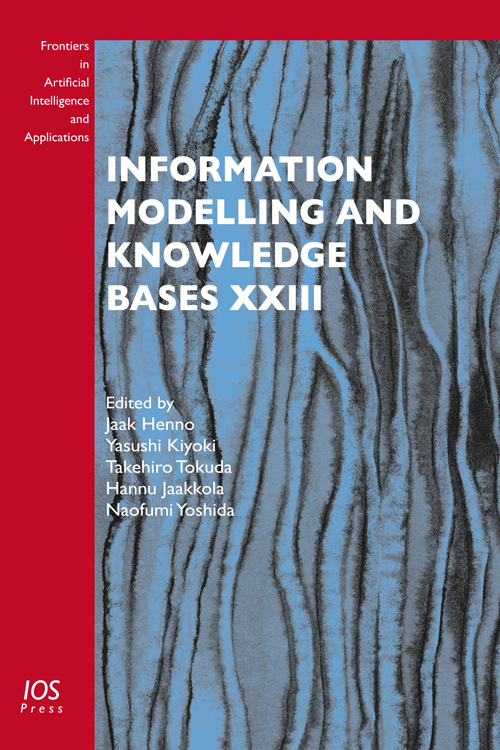 This book presents the proceedings of the 21st European-Japanese Conference on Information Modelling and Knowledge Bases (EJC 2011), held in Tallinn, Estonia, in June 2011. The EJC conferences provide a worldwide forum for researchers and practitioners in the field to exchange results and experiences achieved in computer science and related disciplines such as conceptual analysis, design and specification of information systems, multimedia information modelling, multimedia systems, software engineering, knowledge and process management, cross cultural communication and context modelling. Attention is also paid to theoretical disciplines including cognitive science, artificial intelligence, logic, linguistics and analytical philosophy. The selected papers (16 full papers, 9 short papers, 2 papers based on panel sessions and 2 on invited presentations), cover a wide range of topics, including database semantics, knowledge representation, software engineering, www information management, context-based information retrieval, ontology, image databases, temporal and spatial databases, document data management, process management, cultural modelling and many others. Covering many aspects of system modelling and optimization, this book will be of interest to all those working in the field of information modelling and knowledge bases. 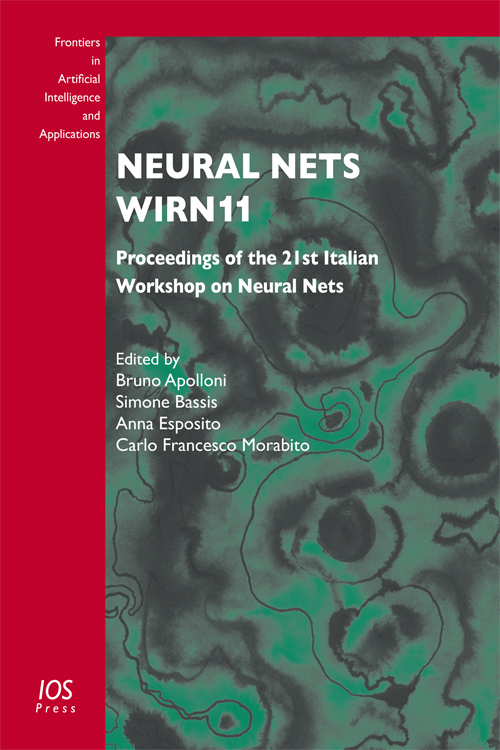 Edited by: Henno, J., Kiyoki, Y., Tokuda, T., Jaakkola, H., Yoshida, N.
This book is a collection of selected papers from the 21st WIRN workshop, held in Vietri sul Mare, Italy, in 2011. This workshop is the annual meeting of the Italian Neural Network Society (SIREN) where participants can discuss and analyze the latest challenges in the wider field of neural networks. The papers, all of which are the peer reviewed original results of the authors, are divided into three groups: applications, models and specific signal processing implementations. These are followed by contributions to the three additional special sessions: models of behavior for human-machine interaction, autonomous machine learning and neuromorphic engineering.